Research is addicting. Let me be more specific: historical research is addicting. I count myself among historical fiction writers who say that the research can prove more fun than the writing. And since I write historical fiction set in Texas these days, this month I’m sharing one of my favorite new-to-me resources: The Portal to Texas History. Created by the University of North Texas, this free, online resource boasts “569,484 unique items, comprising 5.8 million files,” according to the site. That’s a whole lotta Texas. So, what can you do with the Portal? If you have a connection to almost any place in Texas, you’ll find something here. For instance, I graduated from Hardin-Simmons University. And since I’m writing about the 1940s, I found their collection and clicked on the 1940s link. 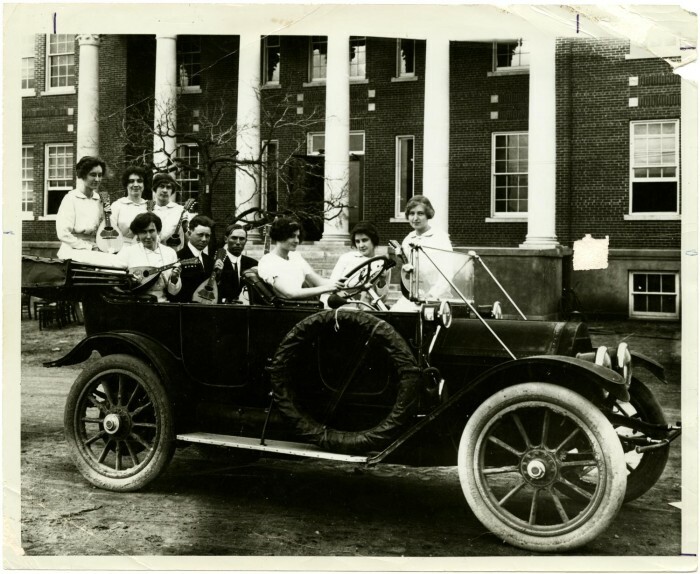 I found this great picture of students loaded up in a Model A. Or, maybe you want to flip through the pages of a newspaper from a town that’s personal to you. The Portal holds scores of scanned newspaper archives. 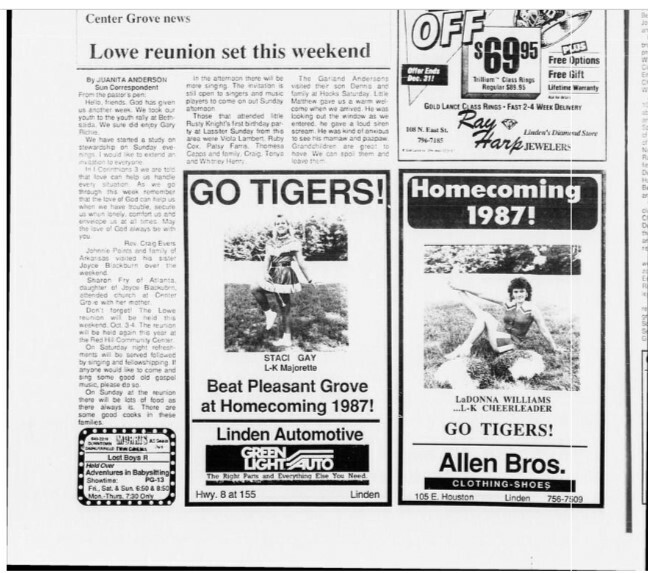 In the Cass County Sun collection, I found editions of the charming, longtime column that my relative Juanita Anderson wrote about the goings-on of the Center Grove community, where many of my ancestors settled in Texas. What about you? What historical topics/times pique your curiosity? 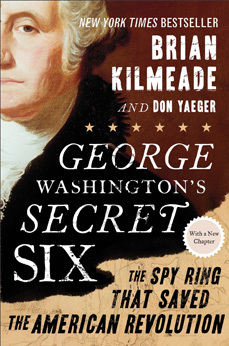 What it’s about: This non-fiction bestseller offers its account of the true-to-life Culper spy ring. General Washington needed crucial intelligence about the King’s army during the American Revolution. The authors walk–at times gallop–the reader through the enlistment of the ring, including spymaster Benjamin Tallmadge. Tallmadge and the spy ring handpick unlikely spies from the sleepy villages of Long Island to the heart of the British stronghold of Manhattan itself. Their collective covert work helps turn the tide of the revolution; the title doesn’t lie. You might like this if you like: American Revolution history, spy thrillers, the AMC TV series Turn, or Siri Mitchell’s novel The Messenger. What I liked: Off the bat, the reader understands that the authors researched the stories to the nth degree. That helps the reader settle back and enjoy the read. True, even history can be vulnerable to the storytelling itch of authors, but the reader finds admissions of historical uncertainties when the authors can’t claim something as gospel. That said, the story of the Culper ring fascinates those even remotely familiar with the American Revolution. We learn of heroes like Abraham Woodhull and Robert Townsend (Culper Sr. and Culper Jr., respectively), who risked and suffered in the shadows to fulfill their missions. We see a faint verbal portrait of the anonymous Agent 355, a female spy who acted with courage in the face of the horrors of war. It’s an insider’s view of the revolution that gives more life and dimension than we all had time to learn in school. I’m not crazy about: In our secret schools for writers (okay, they’re not so secret), there’s a certain way to write non-fiction/history in long form, like this book. You’ve gotta make it read like a novel. We’re taught to take the elements of fiction storytelling and apply it this scenario: characterization, setting, plot, theme, etc. Tell the truth, but make it an interesting read. Shhh, don’t tell or they’ll kick me out of the writers’ schools. The authors did this well, overall. However, a spot or two suffered from some forced tension that felt thin. …But not enough to prove traitorous. The bottom line: “I’m telling you, you’ll love it.” I have a particular friend who shall, like Agent 355, remain nameless. Whenever I recommend a movie, she narrows her eyes and shoots me a sideways look and half-smile. I lost her confidence in my recommendations when I tried to sell her on Napoleon Dynamite and Nacho Libre. But let the record show: she liked Nacho Libre, and now she even likes my “usual” at our local coffee house. So, if she is coming around to the genius of my tastes, I can say with conviction (I cannot tell a lie) that I think my fellow history-lovers will enjoy Secret Six. What about you? Do you enjoy books like these? Do you think you would’ve stepped up to the plate as a Culper spy? TV series White Collar’s tribute to the Culper ring – It’s on Netflix currently. If you’re a regular reader (thank you, by the way), you may have double-checked that you had the right address when you got here. Welcome to the new look of my site! I’ve wanted an updated blog theme, new logo, etc. for a while. My ultra-talented IT/graphic designer, David (also the king of all husbands), jumped at the challenge months ago. He created the new logo and much of what you see here. I took a little longer to catch up. New website designs are part fun and part commitment phobia-inducing. 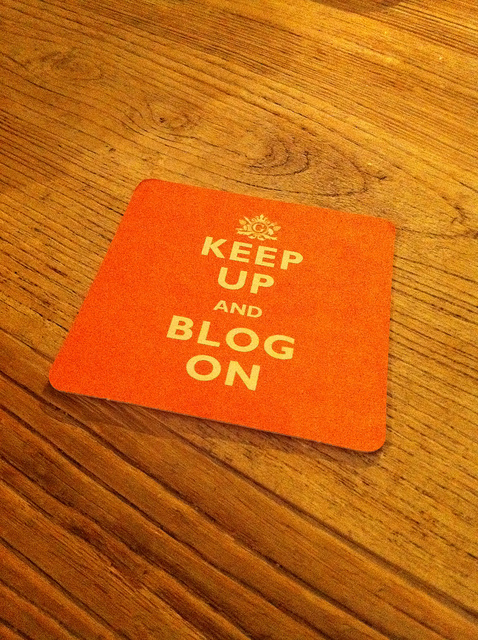 But now I’ve taken the leap to this, the third version since creating my blog in 2007. You see here the starting point. Over the next few weeks, I’ll play with it more, get formatting more to my liking, and overall become settled into my new online home. Let me know if you have feedback about functionality or if the look is easy on the eyes (or makes you want to poke them out). =) All of the previous content remains. It’s a Grab Bag Monday! I’m re-posting “High-Flying Christmas,” a short story I wrote in 2011. Today’s version includes minor edits. 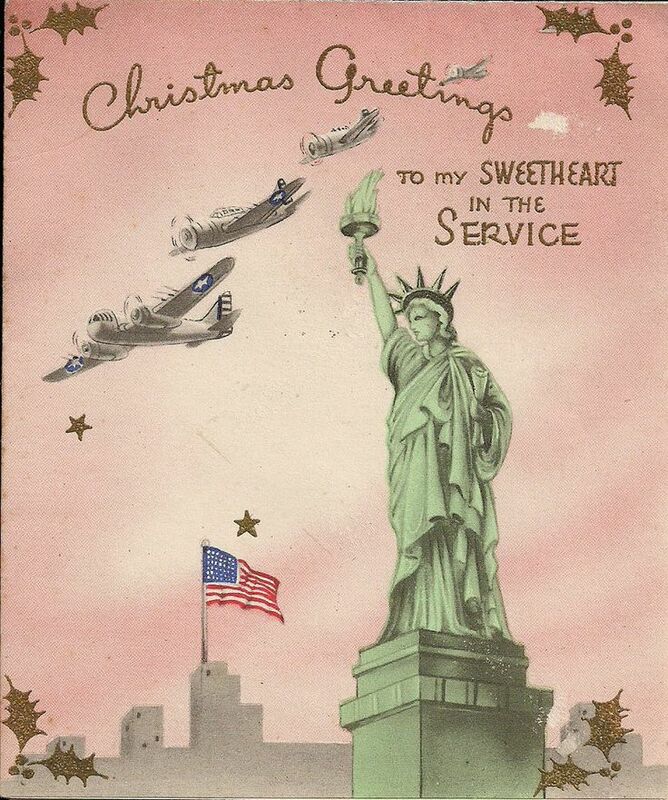 We’ll see how Josie James, the heroine from my novel Wild Blue Yonder, spends a Christmas during World War II. Merry Christmas! “Come on, you Yellow Pansy!” Josie muttered at her parked Stearman biplane. Only when it didn’t cooperate, like now, did she use the canary-colored plane’s nickname. She strolled around a few seconds to refocus, hands on her hips, then turned on a heel to face the propeller once again. With a swift motion she yanked with all her might. The plane chugged, sputtered in protest, then fell silent as if pouting. Frustration rocketed out of Josie. Her fist connected with the cold metal shell of the plane with a dull thud. The bitter chill of the wind magnified ache in her knuckles and the remorse for punishing her Stearman. It was Christmas Eve, for Pete’s sake. Only two days off from WASP training. She shook her sore hand and glanced around the bare, rolling plains. Wind whipped her chin-length hair into her eyes, but she could still see far down the dirt runway in the mid-afternoon stretch of sunlight. Maybe two more hours of daylight. Maybe. Hmmm. Only a few miles back to Avenger Field. Even so, Otto was long gone and daylight was burnin’. West Texas dust had trailed her truck after she’d dropped off Josie where the Stearman was parked on a family friend’s air strip. She turned and sized up the plane once again while hugging her thin coat to herself. It had to start. She placed an open hand on the side of the plane as an apology for the punch. The faithful Stearman hadn’t deserved that. She shot a quick prayer skyward – part plea for help and part asking forgiveness for getting distracted from Jesus’ birthday. Taking a deep breath, she rounded the front and turned to the propeller once more. One more swift yank, one more burst of hope. She shouldn’t have been surprised. The motor roared to life and the baritone whirrr warmed her heart. The last few months had taught her that nothing was impossible. Now, what was that saying? …Something about truth being stranger than fiction? She chuckled at the memories of the last month-and-a-half, yet wasted no time. Two seconds and she vaulted herself from wing to cockpit. Mercy, it felt good to be back in her family’s plane. To grasp familiar controls. No cramming bushels of new information just to get airborne. She smiled and sped through the pre-flight check with expert precision. A quick touch to two bags at her feet and she was ready. She smiled with gratitude. Mama and Daddy had scraped together enough rationed fuel for this trip. Within moments she rumbled down the airstrip, easing the controls in a firm, smooth motion to push away from the land. She leaned into a steep bank from north to east. Oh, how she loved those turns. She surveyed the land and caught sight of Sweetwater on the horizon. Cold air turned her nose as red as Rudolph’s. After sailing by the sleepy town, she headed southeast. It was almost as if the plane could fly home blindfolded to the James family farm. Home. The thought warmed her as she readjusted in her seat. Her weary body and mind rejoiced to be free from the rigors of training for a couple of days. If only Johnny would be there with them. The sting of missing her older brother pricked her. What would his Christmas be like? Leading a mission? Hunkering down in a chilly tent with a bunch of stinky fellows, all wishing they were home with their families? Yet pride filled her as she thought of her brother’s service to their country, to the free world. He’d be home as soon as he could. In the meantime her parents awaited her return tonight. Before that, though, she had a job to do. The time in the air would give her the chance to plan that she’d missed while working on the plane. She rechecked her bearings while noting the faint outline of Abilene to her left. Good thing she didn’t have to stare down the setting sun on her other side. Satisfied, she let part of her mind focus on the task at hand. The bit of money she’d earn would surely come in handy on the farm. “Yowww!! !” Josie yelped and jumped in her seat. The plane lurched off course. Confusion clouded her mind. She scrambled for the controls and tipped the wings level again. Only then did she look down to see what pain gripped her thigh. Breathing hard, her eyes grew as big as Mama’s pecan pies when she spotted him. “Confound it, Gravy!” The scared, crouching cat at her feet stared at her with innocent eyes while an outstretched paw hooked claws into her leg. “How in tarnation did you get here?” More stares. Josie tore her eyes away to regain her bearings. Her thoughts raced and she shook her head. She dared a glance down. Yep, still there. Still staring at her. That infernal cat. He’d almost been the death of her almost as soon as she’d set foot on Avenger Field. Cats belonged in barns, earning their keep by mousing. This flea bag – she felt him climb onto her lap, gripping claws all the way – had made her dream her first week about warm Russian-style hats. She’d read about them in school. When she awoke one morning from the recurring dream, she’d heard purring. Jerking fully awake, she looked at her pillow only to see this lounging gray and cream tabby cat gazing at her, content. She’d shooed it off her cot and watched, still in disbelief, as it hopped on another one and out the open window. Her five baymates–her friends–had only chuckled and ignored her attempts to keep him out. Liza, who slept closest to the window, would reopen it after Josie conked out every night. The routine repeated each day. Before long he’d taken on the name of Gravy, after the cream-colored fur on his soft belly. Josie allowed a small smile. Truth be told, she’d never slept better than when he warmed her head each night. Not that she’d admit that to anyone. She cleared her throat. Quick scans around the cockpit floor confirmed her suspicion. Her canvas bag now gaped. Bits of fur decorated the opening. “Well, cat,” she glanced down at his closed eyes. How could he sleep up here in the sky, and so quickly? “I reckon Brown Betty will have a barn visitor for Christmas.” She laughed out loud, anticipating her mare’s whinny of displeasure. Brown Betty didn’t like cats any more than she liked swarming flies on a June afternoon. Ugh. Josie clamped her mouth shut. She’d laughed too long and swallowed a high-flying bug. Her grimace continued through a coughing fit. Get it together, flygirl! She peered ahead and took in Buffalo Gap’s twin hills getting bigger. Shadows below were getting longer, too. Time was running out to finish her plan. Now, where was the Kramer house from here? Mr. Olin, the baker in Sweetwater, had described it to her while handing a warm cinnamon roll over his counter. “It’s across the road from the church,” he said with a nod and a smile. “Red bench out front. My son-in-law built it himself. Can’t miss it.” The family had moved to Buffalo Gap two months prior. Josie asked Mr. Olin to hold the reward until after she’d completed her mission. The glaring sunset chased her toward town. She leaned forward. Gravy stirred. Would she be able to find their home in time? A few minutes later her hopes had faded with the light as she approached town. She couldn’t see the houses below in the gray dusk. Her pulse raced. Another quick prayer. Her mind went blank as the town turned black. Faint lantern light flickering in a few windows offered now help. She sighed. An incomplete mission. She frowned yet stayed her course. Just as she was thinking of how to explain it to Mr. Olin, a bright glow glimmered ahead. What in the world? She frantically scanned the small homes and yards. Where was it? She dipped the nose of the plane lower. The she spotted it. The red bench, tiny below. And a couple with a little boy perched on their laps, watching the candlelight service. She kept one hand on the controls and reached the other for her second bag, a round, burlap one cinched near the top. Wait, wait….now! As she shoved the bag over the side, the painted red words on the bag “From Santa” rolled by her. She caught a glimpse of the surprised churchgoers as she pulled up hard. The plane’s flyby extinguished some of the candles, and a few raised, shaking fists spoke of frustration. Others peered or waved. Gravy gripped her lap. Had it made it? She had to know. She swung wide and returned. She craned her neck and found the home again. Peering through the dark she spotted the parents kneeling over the open bag. Wrapped packages sat next to it. The little boy jumped up and down. Just before she passed out of view the parents looked up and smiled at her. Her own huge smile made her frozen cheeks hurt. She didn’t care. Mission accomplished. Yellow Pansy veered east and headed home. Christmas songs. Which are your favorites? You’re not alone if the classic “White Christmas” made your list. Most of us could sing it in our sugarplum-induced sleep. But with all its familiarity, do you know everything about this tune? Here are a few tidbits that may be new to you. Best seller. The Bing Crosby version of the song rests unrivaled as the most popular of all time. In fact, his recording remains the best-selling single in history. 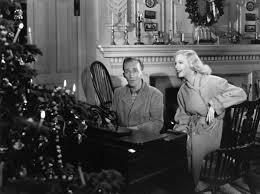 Crosby debuted “White Christmas” on Christmas Day, 1941. Composer. The songwriting master Irving Berlin penned the song. Most people know that, but consider the irony: Irving Berlin was a Jewish person who composed one of the best-loved Christmas tunes. Tragedy. While not proven, some believe that tragedy birthed Berlin’s inspiration to write “White Christmas.” His infant son, Irving Jr., died on Christmas Day, 1928. It is speculated that the melancholy song paid tribute to his child. Screen Origin. Ask almost anyone which movie first claimed the song, and they’ll give you a funny look. “‘White Christmas’, of course,” they’ll reply. There you have it. I wish you a Merry (and a white) Christmas season, dear readers! Your turn: Care to share your favorite Christmas carols or songs?